Spread Pick: Galataseray with handicap +14.5 at 1.90 Over/Under: Under 161.5 1.90 Bet Now! With both teams winning their first Top 16 game, there will be a great deal of tension coming into this game in Madrid. 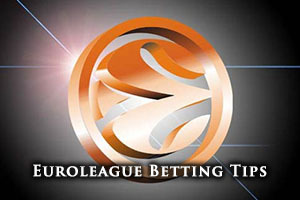 The home side have won their last four Euroleague games while their Turkish opponents have triumphed in their last two games. Galatasaray are struggling on the road, they haven’t found success in their last 8 Euroleague games on the road, and it is not as though Madrid is that welcoming a place for travelling basketball teams. However, given that they currently sit above their Spanish rivals in Group E, there will be plenty of endeavour and drive from Galatasaray in this game. The two teams clashed in the Top 16 last season with Real Madrid winning both of the games, which was the first time these two teams have met each other. With respect to the Euroleague campaign so far, Real Madrid hold a 9-2 record and they have scored an average of 86.5 points in their games so far this season. Felipe Reyes has been in excellent form with the Spanish forward averaging 10.4 points per game while also offering up an average of 5.6 rebounds per game. Sergio Llull has also been in strong form, providing an average of 10.1 points per game while also offering an average of 5.3 assists per game. In their domestic league, Real Madrid sit in fourth place with an 11-4 record and in their most recent game, they managed to grab a 70-79 win away to Andorra. Galatasaray have a 5-6 record in the 2014/15 Euroleague campaign and they are averaging a score of 80.1 points in the Euroleague. Their key point grabber has been Goran Erceg, who has averaged 17.7 points per game while also offering a healthy average of 4.9 rebounds per game. Kerem Gonlum has served up an average of 7.5 points per game while providing his team with an average of 5.6 rebounds per game. 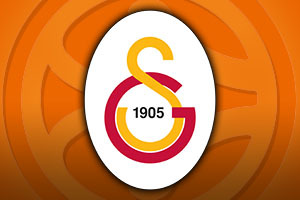 Galatasaray are also struggling in their domestic league, sitting in 7th place with a 7-7 record. They lost in their most recent domestic game, losing 81-84 to Istanbul BSB. It is likely that Madrid will take care of business in this game but when it comes to betting odds, taking Galatasaray with a handicap of +14.5, at odds of 1.90, is likely to be a sensible bet. Anyone looking at the Over/Under market will find that going Under 161.5 is the smart move and these bets can be found at Bet365. If you are keen to watch Real Madrid v Galatasaray live, we can help you out. Bet Now! A win in this game could go a long way to securing passage to the next phase of the Euroleague and while the game is likely to go in Madrid’s favour, Galatasaray know that they need to start winning games on the road. If they were to win this one, Europe would sit up and take notice.